PRESS RELEASE: After two and half weeks, the league stages of the IMG Reliance School League have come to an end and the quarterfinal stages in both the boys and girls section are set to begin. Pool toppers Fr. Agnel’s and D J Doshi remained unbeaten in all their league games in the boys section and St. Anthony’s and Bombay Scottish remained unbeaten in the girls section thereby topping their respective pools. St. Anthony’s topped their pool with relative ease as compared to the girls from Mahim, Bombay Scottish. The only team that challenged the Scottish girls was Divine Child High School, Andheri East. Coming into the final days of the league both Divine Child and Bombay Scottish remained victorious in all their league games. The Bombay Scottish girls were able to beat Divine Child in both their home and away fixtures by a very narrow margin. Scottish beat Divine Child 39-38 in their away fixture and beat them 59-38 in their home game. In both the games Anjali Narain and Rachel Netto were the top scorers for Scottish and Divine Child had no support for Shreema Shetty who scored 25 points in her home game. 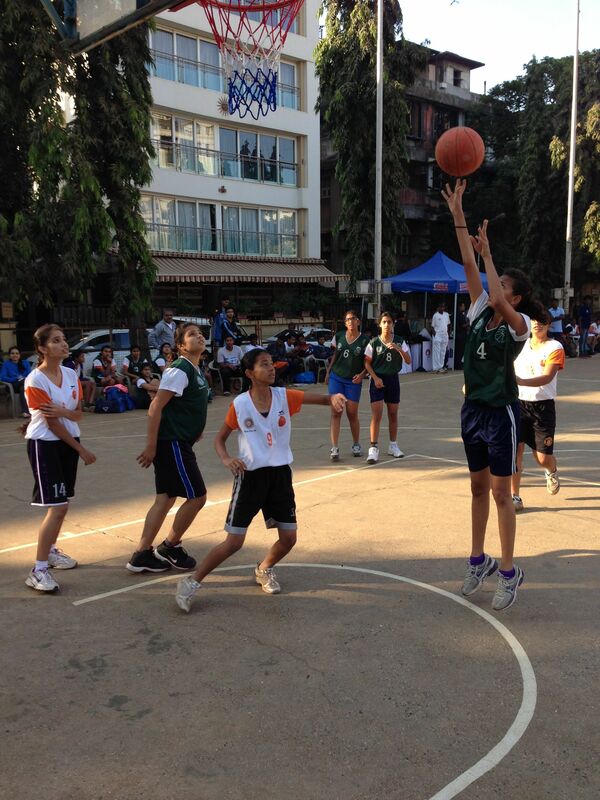 In the boys’ section, there was a cracker of game between Smt Singhania School Thane and St. Joseph’s, Wadala. The game went into overtime, the only game in the league to require the extra time to decide the winner. The scores were tied at 40 apiece at the end of regulation time. In the overtime, St. Joseph’s outscored Singhania 8-7 to win the game 48-47. Smit Shinde from St. Joseph’s top scored with 22 points and for Singhania it was Heramb who top scored with 12 points. Now that the league games have ended, the knock out stages promises to be an exciting affair. Fr. Agnel’s and D J Doshi remain favorites in the boys’ section and Anthony’s and Bombay Scottish are probably the favorites in the girls draw. The Semifinals and Finals will be played on Saturday 21st December and Sunday 22nd December respectively. Singhania: Reuben G – 18 points.